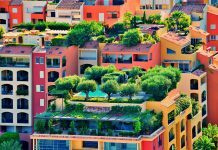 Along with saving money and reducing the impact on the environment, DIY garden ideas give you an opportunity to put your own creative twist into your landscape. 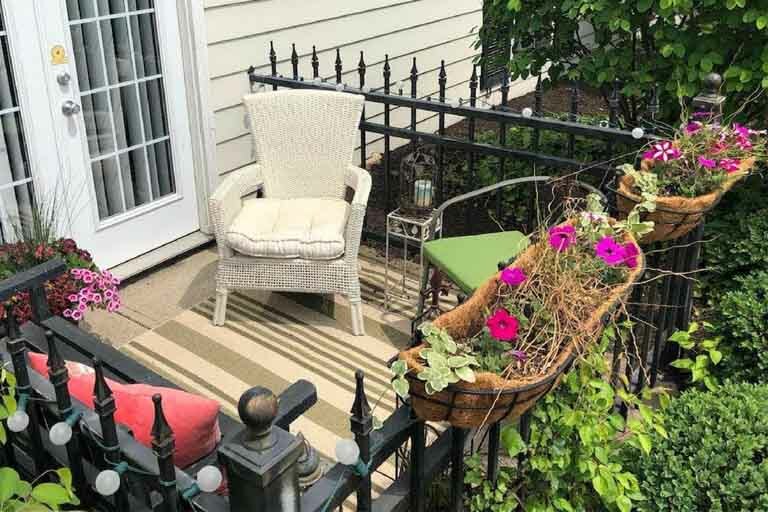 While there are many manufacturers of outdoor products and furnishings, creating your own garden goods is a chance for you and your family to introduce your spirit and personalities into your yard space. DIY garden ideas also give you a chance to involve everyone in the family and teach them about growing food, nurturing flowers, and the wildlife your plants attract. This can help provide children with a feeling of responsibility to the environment and a sense of stewardship for the land and all the living things that populate our world. And that’s not such a bad thing. If you’re not naturally crafty or working with children, you may want to start with a few simple decorative projects. You’ll need to balance the size of your garden ambitions with the skills and materials available. It’s very easy to become completely overwhelmed when you’ve set yourself the task of starting hundreds of square feet of vegetable beds, plus a butterfly garden, plus a tropical retreat in the front yard. Especially when working with small children, it's important to end the project on a high note. Keep the pressure low-key when working with children, and you’ll be sure to have more fun. And make sure you follow up with the project so everyone involved can see it in action once it becomes part of the garden. One of our favorite ways of reducing waste ending up in the local landfill and recycling biodegradable trash involves creating our own seed starters. We’ve also found ways to reuse old plastic bottles, plastic trays from the supermarket, and some other extras and leftovers we’ve discovered around the house. Re-using things that would otherwise end up in the trash can save money, too. And wouldn’t you rather have extra cash for more seeds and plants? To make these, save as many empty tubes as you’ll need. You can also use paper towel tubes, after cutting them in half. Cut four or five slits, from one end, about halfway up the tube. Then fold each section over to make a “bottom” for your seed starter. Fill each tube nearly to the top with light potting soil or seed starter mix and them into a cleaned plastic tray from the grocery store. Then plant your seeds to the depth listed on the seed packet. Water the tubes thoroughly and place in a warm area with low light. You can cover them with plastic until they germinate, or mist regularly to maintain moisture. Once your seedlings are set and have their first true leaves, you can plant the whole seedling, tube and all, into your garden or a container. You can also remove the tube before planting. We’ve used this method for tomatoes, eggplants, and passion flower vines. Wash and save the plastic meat trays for your next batch of seeds or use it to take cuttings. After planting dozens of morning glories and moonflowers this spring, we found they had some trouble climbing up the fence. Instead, they were grasping onto to other flowering plants. The small trellis we provided was plenty of room for the new jasmine, which are slow-growing bushes, but it certainly wasn’t enough room for a 15-foot moonflower vine. Rather than buying more trellises, we used fishing line to help our flowers climb the fence. We had plenty left over from a family member’s brief flirtation with fishing. So, we simply strung it up between thumbtacks or nails stuck into the fence, crisscrossing the line to provide purchase for the vines. This isn’t sturdy enough for vegetable vines, and we wouldn't expect it to last more than one season, but neither will the flowers. Recently, fabric grow bags have blossomed in the home gardening market. Over the last 30 years, gardeners have discovered that fabric pots promote better root development. Instead of “circling,” as they do in most containers, the roots would air prune themselves. Fabric provides more oxygen and better drainage for the roots. You can find these fabric containers sold online for anywhere from $3 to $50 each, depending on the size and manufacturer. Most of these grow bags are made from the non-woven polyester fabric used for weed-blocking landscape fabric. After glancing at the two rolls we had left over from summer, we pulled out the sewing machine and got to work. 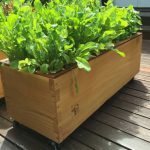 Grow bags are perfect for container-grown vegetables, and so much less expensive than purchasing either planters or fabric pots. If you find yourself running out of space, but still want to add to your garden, we found a couple of tricks to make room for new plants. 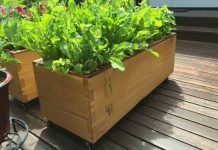 Creating your own planters with cheap or leftover materials is a great way to broaden the selection of plants you can grow. Not all flower or vegetable plants do well planted directly in the ground. And many times, adding a garden bed can mean back-breaking labor to clear weeds, aerate the soil, and add amendments. That’s if you can find a sunny spot where your plants will get six to eight hours of bright sunshine per day. Instead, consider adding vertical garden spaces or container plants where you already know your plants will thrive. We once found ourselves the inadvertent owners of dozens of cinder blocks. Along with building a firepit, we found they were great additions to our garden for elevating containers and even for growing small plants directly inside them. Now, the term “cinder block” doesn’t exactly scream style, but they do generally have clean, unfussy lines. And many gardeners find they can paint them for a bit of flair. Best of all, they’re incredibly cheap. Although prices vary throughout the country, we found full-size cinder block for less than $1.30 a piece at the local home improvement store. This short video will show you how to create a sturdy garden wall with inexpensive concrete blocks. Got an old shipping pallet taking up space? These make perfect planters for strawberries and herbs. Imagine a selection of fresh herbs within steps of your kitchen to add enticing new flavors to every meal. It's easy when you build a pallet planter and set it vertically against a sunny wall by your back door. All you’ll need is an old pallet, a drill, nails, landscape fabric, a heavy-duty stapler, potting soil, and your favorite herb seedlings. No handy shipping pallets laying around, but you love the idea of a vertical herb garden? You can make your own herb tower out of terra cotta pots. You’ll need five pots in total, with three sequentially smaller pots for each level. You’ll also need two pots for supporting the top two tiers. In fact, you don’t really even need to use terra cotta. In arid regions, terra cotta can cause problems with water retention. You can also use resin or plastic. Your supporting pots can also be old tin cans with drainage holes in the bottom. You’ll also need potting soil and herb seedlings. These towers also work well for growing strawberries. 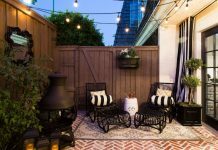 Along with practical DIY garden ideas, we’ve also added a few projects for adding a bit of flair to your outdoor living space. Not that you can’t combine both concepts. 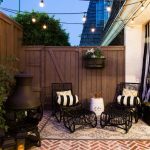 Need to add lighting to your outdoor space while repelling mosquitoes? These wine bottle tiki torches are both useful and attractive, not to mention quite dramatic for outdoor entertaining. Start with a glass bottle. Wine bottles are perfect because they’re usually pretty thick. You’ll also need replacement torch wicks, marbles or sand, citronella fuel, 1/2-inch nylon Teflon tape, and a bronze flange that fits your bottle. You’ll find it pretty easy to put together, and don’t forget that you can decorate the bottle to suit your style. And if your style is a bit more casual, you can also use beer bottles. These make a lovely gift and a fun craft for kids as well. Now, normally we wouldn’t suggest that you use valuable china as garden décor. However, you’ll find plenty of not-so-valuable china cups and saucers at your local thrift store. Often, they’re just as decorative as fine china. You’ll need a decorative chain, jewelry bails, Gorilla glue, and a china cup and saucer set. Well, it's not exactly stained glass, but you can create dazzling spots of colored sunshine in any wood panel fence for a unique decorative touch to your garden. All you’ll need is a drill with the right size bits for boring the holes in your fence, and of course, some marbles. It’s easier to use new marbles since they’ll be uniform in size and you won’t have to change bits. But don’t let the idea of using old ones intimidate you if you want a variety of sizes in your fence. Some people drill holes slightly smaller than their marbles and then tap the marbles into the holes with a mallet until they fit snugly. Others use flat-backed marbles, which you can get from the craft or dollar store. Then, they drill holes and use clear-drying silicone caulk to attach the marbles to the fence boards. Another one of those great DIY garden ideas using cinder blocks – this project is super easy and pretty cheap. In the end, you’ll have a durable outdoor seat with a flower planter built right in. You’ll need full-size cinder blocks, outdoor spray paint, construction adhesive, outdoor wood stain, and some 4-by-4s. Final touches you may want to add are outdoor pillows or cushions as well as some flowers for your bench planters. Many of your child’s favorite arts and crafts translate to DIY garden ideas for projects that are both fun and useful. Kids love to create things, and when you can reinforce their creativity with a place of pride in the garden, they’ll just blossom. How many times have you lost track of what you’ve planted where? You and your child and work together to paint a rock collection that adds color and helps you stay organized by marking your garden plants. As well as adding wit and character, your painted rocks can help you identify your seedlings as they grow. You’ll need permanent acrylic paint, inexpensive craft paint brushes, a Sharpie market, and sealing spray. Give your kids a chance to leave their mark on the garden with these custom stepping stones. They can personalize each one with a unique design. Or, you can work together to make a path through an entire section of the yard. Your stepping stones can be sentimental and straightforward or intricate works of art. It all depends on the level of skill and patience of those making them. You can make your stepping stones with plaster of Paris or cement, depending on how long you’d like them to last. Use glass gems, marbles, or even broken tiles to make your design and then mold it in an old cake pan. Bees and butterflies help pollinate your garden, from your herbs to your cucumbers to your tomatoes. You can attract more of these helpful insects by setting out extra food to entice them to visit your garden more often. Most of all, this is one of those DIY garden ideas that are easy enough for even small kids to manage with help. The easiest butterfly feeders to make use a shallow and colorful bowl or plate. You can suspend the plate from a hanger or place it out on a stand. Some craft ribbon or yarn and a colorful paper plate are all your child needs to make a quick butterfly feeder. Offer overripe fruit that tempts both bees and butterflies with the sweet aroma. For a more permanent butterfly feeder, use a brightly colored acrylic plate. You can purchase one at your local dollar store, along with a plate hanger that fits. Attach the hanger to the plate, then string twine from the hanger to attach to a tree or garden shepherd's hook. To feed the butterflies, use overripe fruit. Alternatively, you can create food by mixing 1 part sugar to 10 parts water and cooking it to make a simple syrup. Let it cool, then serve in a clean sponge placed in the middle of the plate. You can find complete instructions here. DIY garden projects can be fun and inexpensive ways to spend time with your family in the garden. Others are permanent upgrades to your outdoor living space that you need to plan carefully. Either way, as well as saving money by doing it yourself, you’ll also be able to put your own unique stamp on every project. And that's where the fun comes in -- creating a garden unique to you and your family. Some of these DIY garden ideas are ones we’ve tried out and felt worth recommending. Others are on our to-do list to incorporate into the garden. We hope you find them as useful as we do. And let us know what DIY garden ideas you’ve used in the past to save work, save money, or just add to your garden décor. Let us know in the comments, so our readers can learn from your tips, as well.